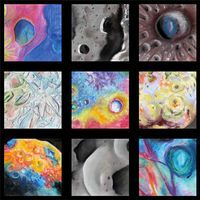 Investigate the solar system as an artist explorer! Discover what you can learn about our cosmic neighbors, as well as the Earth, through the elements of art. This free program is open to 1st grade (6 years old) to 4th grade (10 years old) students ONLY. Registration will OPEN on Eventbrite on Friday, February 1, 2019 at 9 a.m.